So It’s been pretty cold here in NC, not the beach vibe I wanted. BUT I’m trying to make the inside a more coastal Christmas vibe this year. 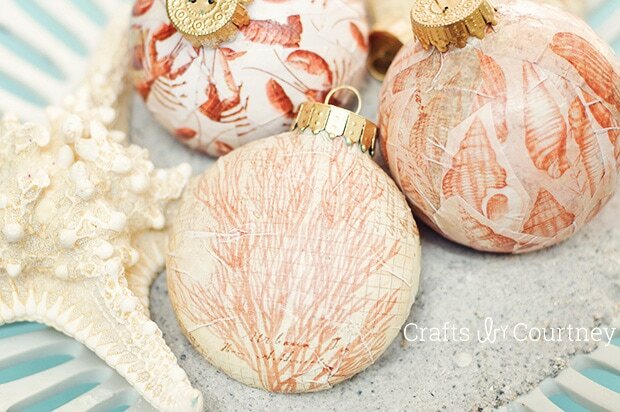 I’ve been working on some new coastal Christmas projects and I’m really excited about them. NC Christmases are a lot different then a Florida Christmas. We can usually wear shorts most of December and I’m already pulling out the scarves and knee high boots. The kids are loving the colder weather but I think it’s going to be a while before I used adjusted to it. Give me a couple years. Ok on to the ornament now! 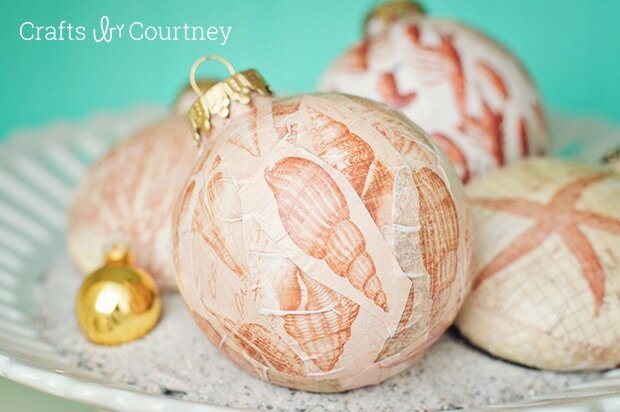 As I promised here’s the post on how to make Mod Podge Christmas ornaments!! 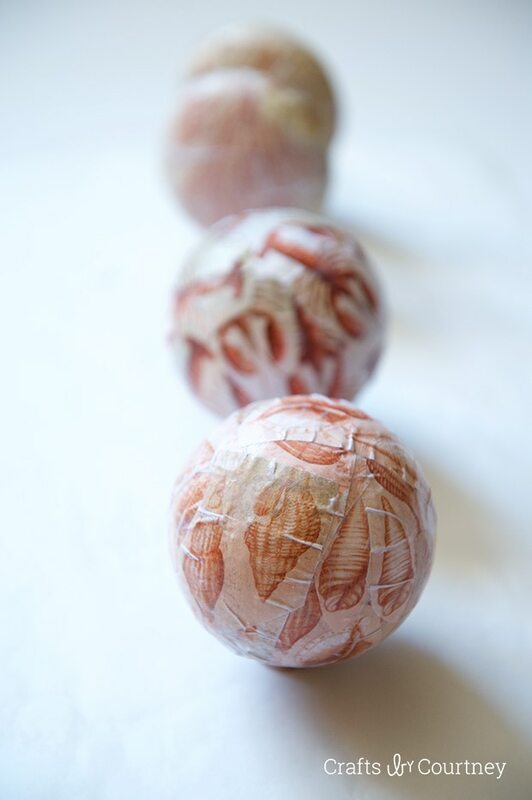 I just posted my Nautical Mod Podge Ornaments the other day and I said I would give step by step directions on on to make them. I pulled out my coastal scrapbook paper I bought from Hobby Lobby. I found some plastic ornaments at Wal-Mart for .99 cents. I was ready to get started on my Christmas ornament!! 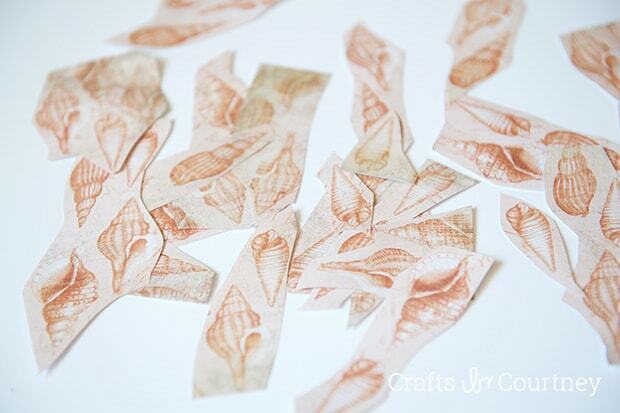 For this Mod Podge project I cut out my shells individually. For my Mod Podge pumpkins I cut them into squares. Next it time to add your Mod Podge, gotta love that stuff! I covered a piece of scrapbook paper with Mod Podge and firmly pressed it onto the ornament. I went around the entire ornament with my Mod Podge and scrapbook paper. The Mod Podge dries pretty fast. I had all of them done in no time. 20 minutes at the most. I took the tops of the ornaments outside a spray painted them gold. I was debating on adding some of the turquoise color I love so much but I’m happy with how the gold turned out. 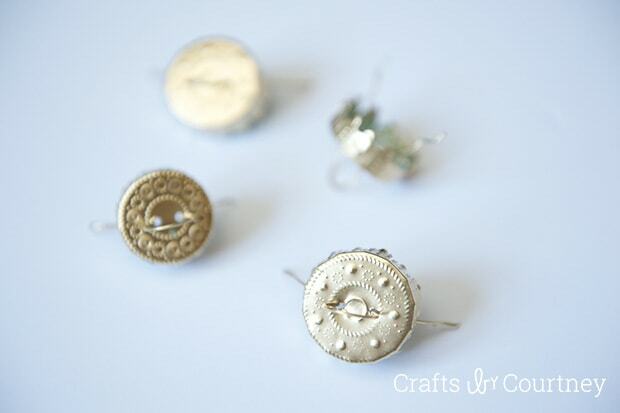 See how easy it is to make these! I’m totally obsessed with Mod Podge right now. 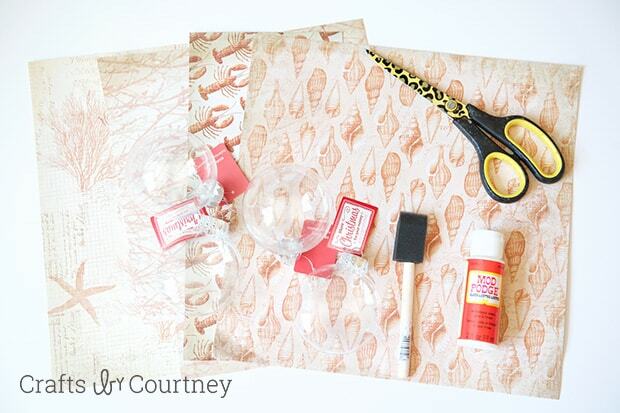 You can turn a simple clear ornament into any kind of theme you want. Of course my theme is coastal. I can’t wait to finish my coastal Christmas tree, I’m so excited!! I don’t know why but i just LOVE the lobster ornament so much!! It’s totally my favorite. I’m still working on one last ornament for my coastal tree and hoping to have that up sometime this week!! But I’m truly loving how all of the ornaments have turned out. I think their pretty unique and fit my style. 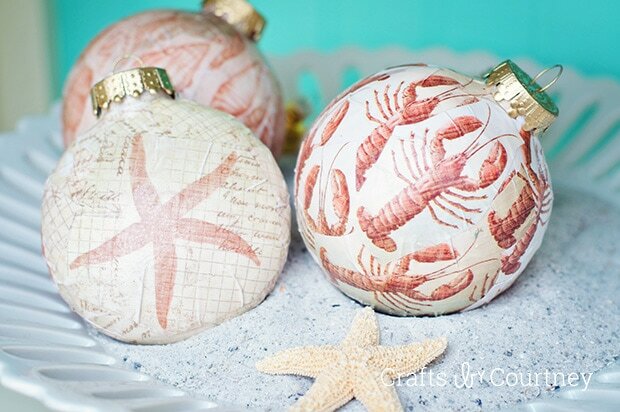 Also check out my DIY Starfish ornament I posted last week!